Lazada, an Amazon-like marketplace service in Southeast Asia backed by German incubator Rocket Internet, and which most recently got $250 million in funding from investors including Tesco, has released an app for the iPhone and iPad as it seeks to capture more mobile shoppers. The iOS app is available in Malaysia, Vietnam, Indonesia, Thailand and the Philippines — countries where Lazada is present — and in turn features four different languages. The online store already has an Android app, but the iOS app will no doubt help to expand its presence on mobile. Lazada CEO Maximilian Bittner says that mobile traffic has more than tripled in the last 12 months and already accounts for a “significant share” of its revenue. 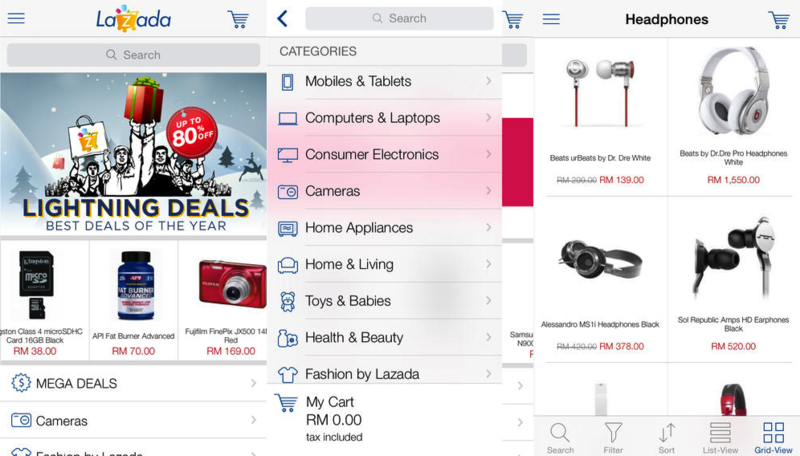 Lazada’s new app is fully optimized for iOS 7 and lets shoppers navigate across several categories including consumer electronics, gadgets, apparel, shoes and accessories. It features full screen and zoom to view products in detail, as well as multiple filters to sort products by size, color, brand and price. Payment can be done in-app via options including credit card, cash-on-delivery and bank transfer, while users will also get exclusive discount codes and notifications about special deals.